Joe Rooney Comedian – I want to practise thespianism!!! It’s been two weeks since I treaded the boards in the Gaiety Theatre. It seems to have flown by. 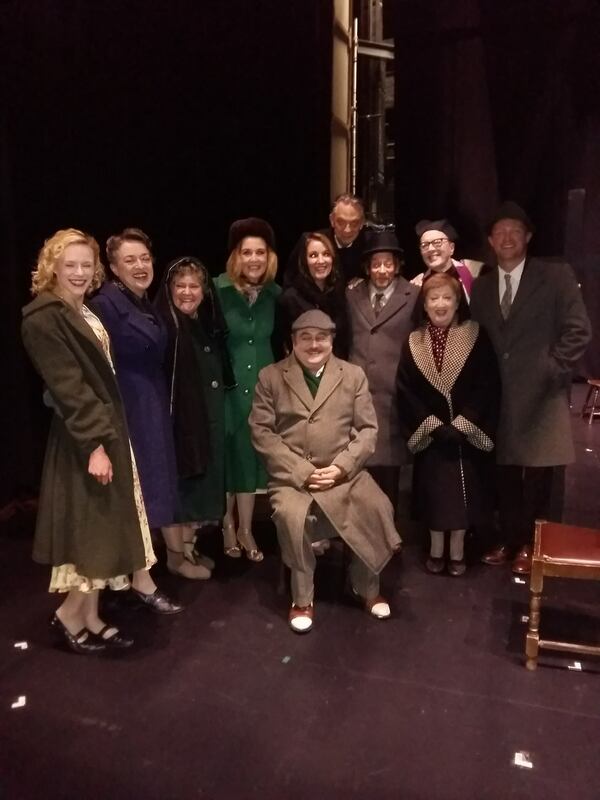 I was cast in the part of the “loud” missionary and a couple of other minor roles in John B Keane’s The Chastitute back in April. It was something that came out of the blue and was an absolute brilliant challenge and joy to do. The first day we all met up to do a reading I was, as we say in the business “bricking it”. You see, all the other actors were seasoned ones, not covered in herbs and spices, but experienced thespians to my mind anyway. I had been in one other play, a stage version of The Shawshank Redemption which coincidentally had also played in the Gaiety Theatre after a four week run at the Edinburgh Fringe Festival. Two plays and both in a one thousand seater venue; what a lucky backstard! It’s a desperate feeling waiting for your lines to arrive when sat around the table at the first reading. The heart starts pounding but you try to keep a calm exterior. The inner voice saying, “they’ll find out you are not a real actor”. The thing is most of the time I am doing stand up and though I do believe there is a fair bit of acting when doing stand up it’s not like you have to stick to the lines verbatim and you can chop and change your set as you see fit so it’s not the same thing. Of course I’ve done lots of film and TV acting but in that case you always have a second take if you screw up. When acting on stage, you can’t forget a line or say, “sorry, can we do that again?” In the heel of the hunt though I rose to the challenge and once the first three or four performances were done I began to relish it. Two weeks after the last performance I am beginning to miss it even more than ever. The camaraderie of working with a big cast and then going back out on my own as a comedian for hire is quite a contrast plus the lack of structure I usually have compared to going to the same venue everyday at the same time makes a feel a bit askew. It’s like going back to being self employed after eight weeks at a nine to five job. It takes a bit of adjusting. Anyway I know it feels the same even for experienced actors. 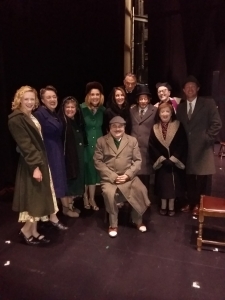 After we did the last performance of The Shawshank, the oldest and most practised actor of the lot Ian Lavender who played Pike in Dad’s Army was by far the most upset that it was over. There’s one thing that it is difficult to get used to in a play. We all know that different audiences have different reactions and we can never figure out why a particular audience is better or worse than another. We sit backstage voicing predictions, “oh Tuesday is always good; if you go out on a Tuesday then you want to be out” and then Tuesday will turn out to be rubbish. So in a play you may have a passage or line that one night will get a laugh or a round of applause but a night or two later will be met with silence. If you are doing stand up you tend to mine those laughy bits; “oh there’s a laugh there. Can I get more out of that bit?” Of course in a play you can’t be doing that. You’ve just got to play the part and let the audience decide. So as a comedian that is just something that takes a bit of getting used to at first. Of course it’s a weight off too because it’s not your responsibility to worry about the reaction but to play the part for real but at the same time there is an ego boost when you do get a reaction. It’s something that could inform my stand up too though because I have to remember that sometimes the audience just want to sit back and enjoy and not be applauding and whooping or laughing out loud and sometimes they want a bit of you just revealing something of you so when the funny bits come they are funnier cos they come from someone they have gotten to know and care about. I hope this makes sense and isn’t a load of codswallop. So hopefully there’ll be another play down the road. I would love to do something more meaty character wise. I am definitely going to look into doing something with small cast and who knows maybe even write one. Watch this space! !